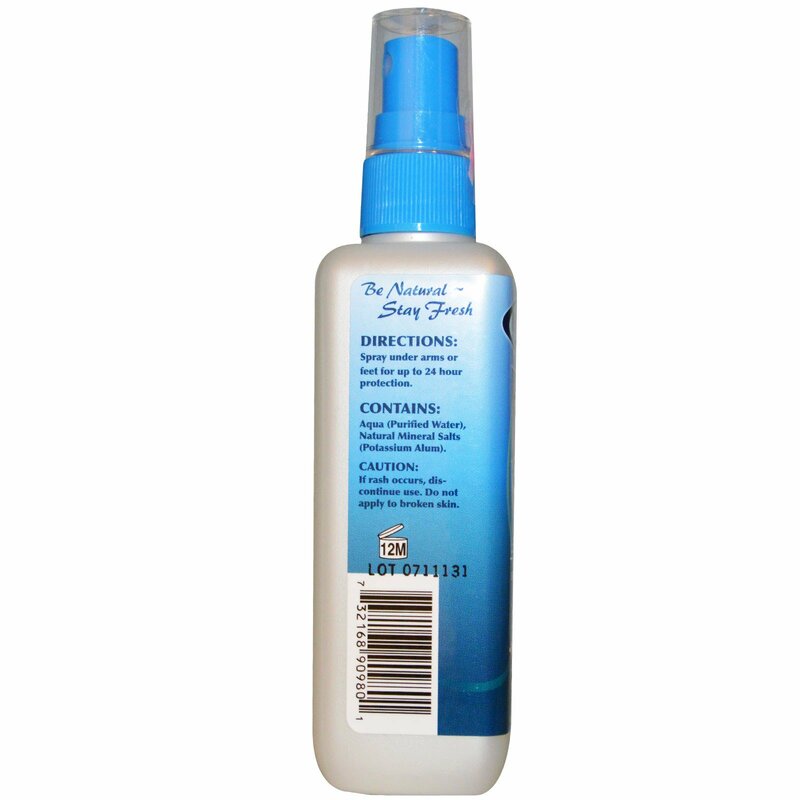 Contains natural minerals salts which form a protective barrier against odor causing bacteria. Formulated without harmful chemicals, propellants or perfumes - making it safe for you, your family and the environment. Directions: Spray under arms or feet for up to 24 hour protection. Aqua (purified water), natural mineral salts (potassium alum). If rash occurs, discontinue use. Do not apply to broken skin.